The UFC 231 weigh-in results are ongoing, but all fighters in the main event and co-headliner have made weight. Tomorrow night (Dec. 8), UFC 231 will take place inside the Scotiabank Arena in Toronto, Ontario, Canada. In the main event, UFC featherweight champion Max Holloway will defend his title against Brian Ortega. 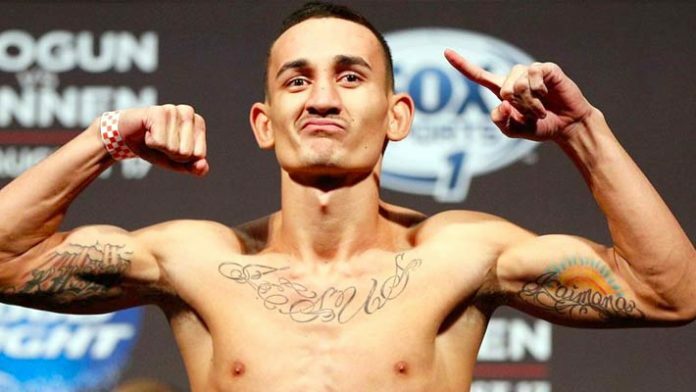 Many were worried whether or not Holloway would tip the scales due to pulling out of his past two bouts either due to a poor weight cut or an illness. “Blessed” put those fears to rest when he tipped the scales at 144.5 pounds. Ortega weighed in at 144.75 pounds. In the co-main event, Valentina Shevchenko and Joanna Jedrzjczyk will collide for the vacant women’s flyweight championship. Shevchenko clocked in at 123.5 pounds, while Jedrzejczyk weighed in at 123.75 pounds. MMA News will be providing live coverage of UFC 231. We’ll have you covered with live results, highlights and post-fight tidbits. Be on the lookout today as well for our predictions. Also, be sure to join us tonight at 6 p.m. ET as we’ll have a live stream of the ceremonial weigh-ins. NOTE: The planned main event emergency backup fighter Renato Moicano weighed in at 146 pounds, which is one pound under the limit for a title fight.